Surprise, surprise. Yet another Democrat telling yet another lie to oppose a gun rights bill that doesn’t do what they claim it does. This time it was Rep. Jamie Raskin, a Democrat representing Maryland’s 8th District, who took to the House floor while opposing the Concealed Carry Reciprocity Act to claim that there have been more than 378 mass shootings this year. As Washington Free Beacon writer Stephen Gutowski noted, this 378 number was nonsense, even using Raskin’s own definition of “mass shooting” as four or more people killed, and looking at statistics compiled by a gun control advocacy group. 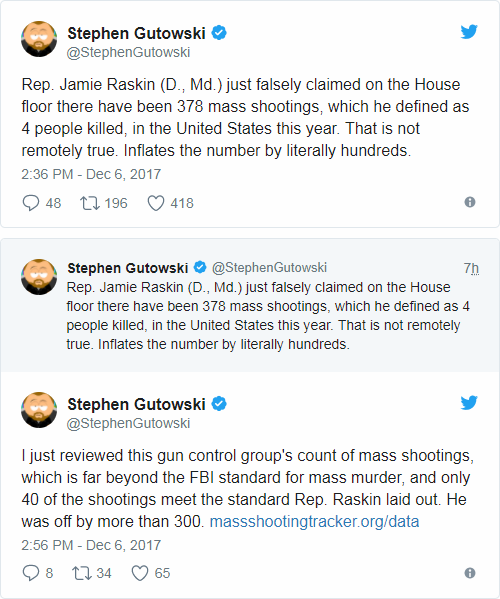 As Gutowski observed, this group has a far broader definition than the FBI for mass shooting, but even by this standard, Raskin was off by more than 300. 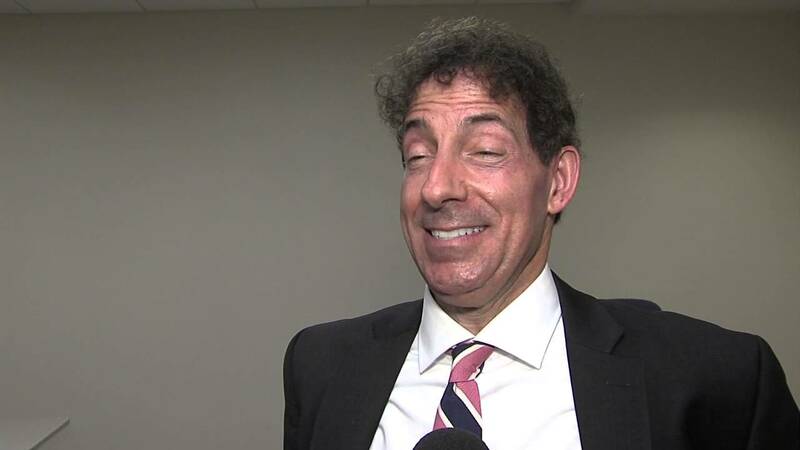 Raskin posted several tweets calling the bill “dangerous” and bemoaning how it would trample on “states’ rights.” (Democrats always love states’ rights when it’s a right that conservatives support expanding, as we all know). In another clip from Raskin’s remarks, he cites statistics about deaths caused by guns owned by concealed carry permit holders, but inflates the statistics again, most notably by including suicides. Suicide is of course a tragedy, but Raskin is trying to argue that the general public is at risk of being murdered by concealed carry permit holders, and someone making the awful decision to end their own life doesn’t do that. The reality that Democrats don’t want to admit is that concealed carry permit holders commit crimes far less frequently than the general population, including gun crimes and other crimes involving violence. The Texas Department of Public Safety has been compiling statistics on crimes committed by Texans with handgun licenses (since Texas passed open carry, just one general license is required) since 1996, and has published reports comparing license holders with the general population. The reports are available on the DPS website for every year from 1996 through 2016, and covers all convictions by Texas residents who are at least 21 years old (to match the minimum age for a gun license) and waits for one year after the conviction to allow time for appeals. Every single year of the DPS reports, the percentage of all convictions committed by gun license holders never reaches even one-half of one percent. For 2016, the most recent report available, there were 42,797 convictions in Texas, 148 of which were by gun license holders, for a percentage of 0.3458%. This rarity of crimes committed by gun license holders extends throughout the various categories, including sexual assaults and murders. And it’s important to note that being included on the list as convicted of one of these crimes does not necessary mean a gun was used in the crime. These kind of facts are uninteresting to Democrats like Raskin, who resort to fear-mongering to argue against law-abiding citizens exercising their rights. Never mind that when a concealed carry permit holder did make news in a recent mass shooting, it’s because he helped defend innocent lives, like Stephen Willeford did during the Sutherland Springs church shooting. Willeford was a certified NRA instructor too, armed with an AR-15, so don’t expect Raskin and his fellow gun control advocates to want to talk about him.